The Bachelor and Three Graces. 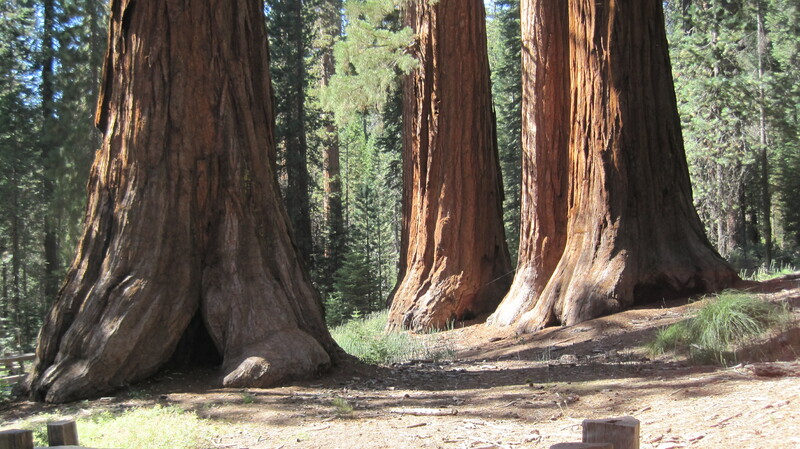 Sequoias of Mariposa Grove. Photo by author. 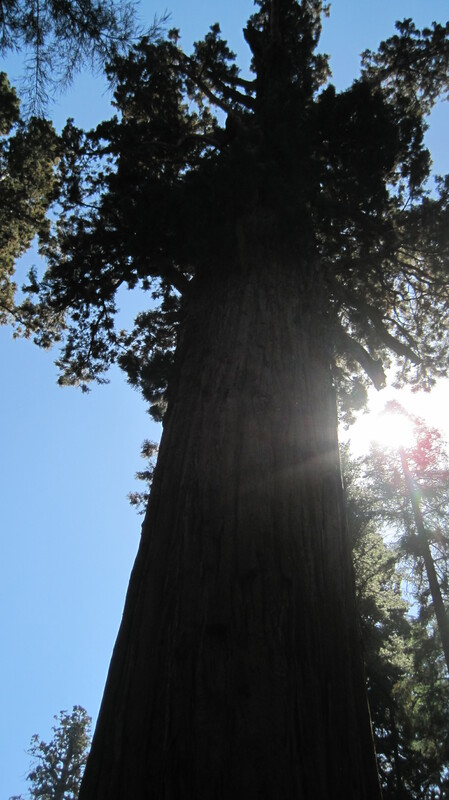 On my vacation, I made a point to visit the Sequoias in Yosemite’s Mariposa Grove and Sequoia National Park. While taking pictures of the giant General Sherman, or ensconced in Telescope Tree, I was reminded of a study released in January. It revealed something surprising about trees. For years, foresters assumed trees grew relatively slowly when young, hit an adolescent growth spurt, then declined in growth for the rest of their lives. It seemed logical, that’s the way humans age. Yet research suggests trees of almost all species hit their growth spurt and never slow down. They continue to grow steadily each year. Their cells don’t break down and dysfunction as they age, so only accident, logging, fire, or disease can kill them. In short, trees will never die of old age. What does that teach us? Untested common sense is usually not the answer. Trees don’t age. Why did we assume they did? Whats more, immortality is all around us. It’s as close as the nearest tree. ← Results-What Kind of Immortal Are You?